Frank Parlato on the rooftop of One Niagara. 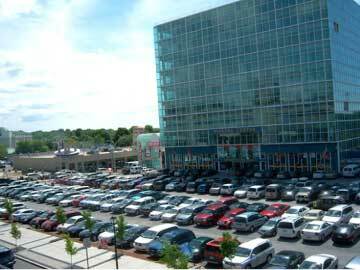 The One Niagara Welcome Center is located at 360 Rainbow Blvd. within earshot of mighty Niagara Falls and stands nine-stories tall, a can’t miss landmark that serves, according to its website, as a tourism and sightseeing haven offering bus tours, guided exploration, historical presentations, dining and souvenirs. 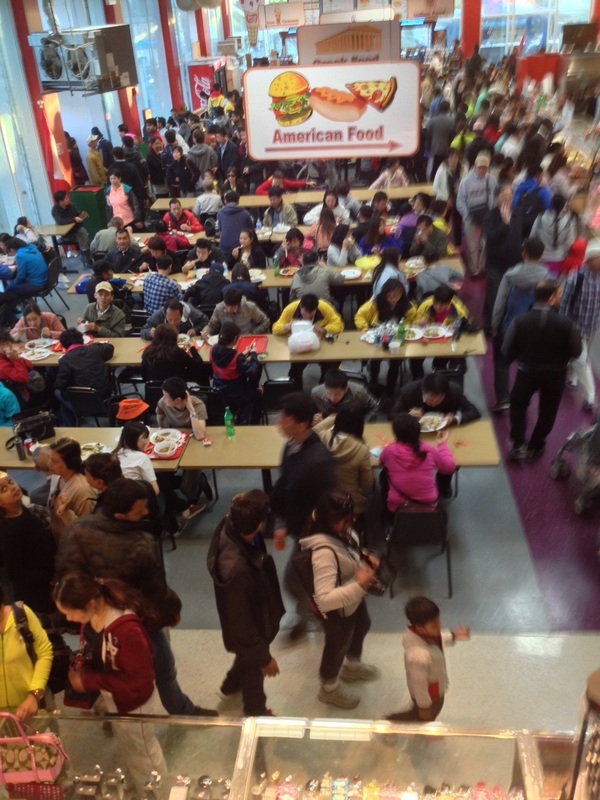 The bustling tourist center is one of downtown Niagara Falls’ bright spots, especially during the Memorial Day – Labor Day tourist season, but it wasn’t always that way. Not too many years ago, in 2004, the onetime Occidental Chemical Corp.’s namesake building, built in the early 1980s, was a shell of its former grandeur, left to deteriorate by Occidental with only a single tenant remaining, the federal Small Business Administration, which was about to leave at the expiration of its lease. 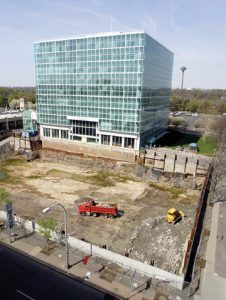 When Parlato came to Niagara Falls, the property had a 40 foot hole the size of three football fields, the sidewalks and the street were being undermined, the developer had run out of money and nobody wanted to tackle the project. 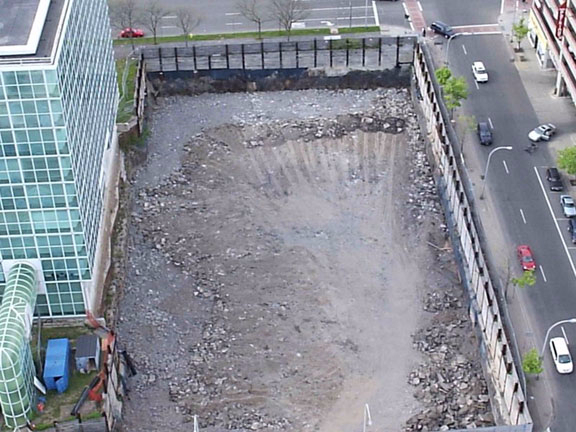 The landmark building next to the Rainbow Bridge was an eyesore, made even worse by a giant empty hole taking up the entire parcel along Rainbow Blvd. that according to the developers holding sway at the time was to become a giant fish tank to attract visitors from around the world to Niagara Falls. The fish tank hole never got any fish and the SBA was leaving, leaving an empty, broken down, giant eyesore behind. But then something happened. I have been a newspaper and television reporter most of my life and along the way I have met many people. One of them was a real estate developer named Frank Parlato of Buffalo who I came to know while chasing down a story in the streets of the city I had prowled for more than 30 years. 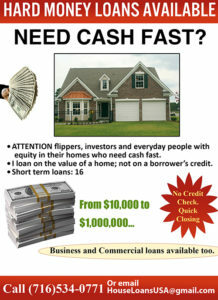 Parlato felt the same way, and with his experience in real estate saw a business opportunity. With the Hong Kong owner running out of money, Parlato found a way to acquire the property and the rest is history. Without a dime of public money, he filled the giant hole and began to fix up the property, selling coffee and trinkets to start and bringing in a tour company to give visitors a guided tour of the historic places of Niagara Falls, starting with the mighty falls itself. That was just the beginning. 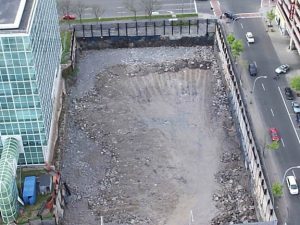 Using common sense, Parlato abandoned the fanciful Aqua Falls aquarium project and started filling the hole. It took stamina and grit to get the hole filled, scotch tape and screwdrivers to get the building habitable, and some chalk to establish parking spots on the now covered hole. Piece by piece, opposed by city inspectors every step of the way, Parlato made something out of nothing. There were back tax issues to deal with, too, although Parlato contended the property had been overtaxed for years and he filed suit against the city and eventually, after he sold the property in 2010, the lawsuit he started was settled with the city and a large discount in taxes proved he was right all along. 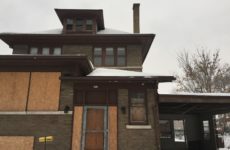 The new owners, including Gordon Reger and Paul Grenga, are now doing quite well on the property that had not too long ago been headed to the scrap heap. Inside. Parlato developed the vacant and obsolete Occidental office building into a food court for tourists. Every business was owned and operated by local small business people. 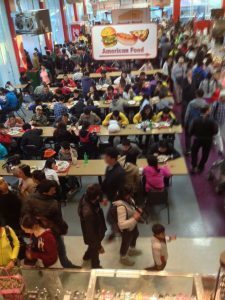 During the tourist season, the food court and the adjoining retail stores in the building are jammed with visitors from around the world, creating for the first time a large scale tourist center to compete with the monopoly businesses in the state park. 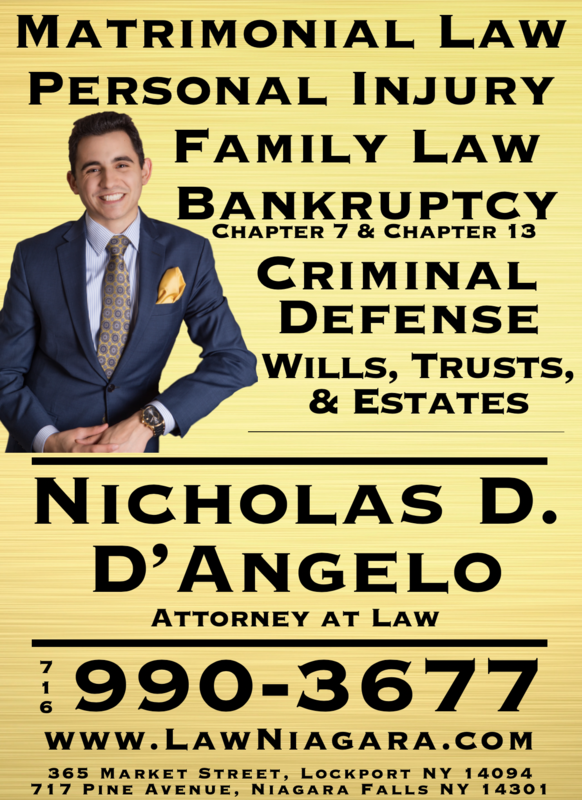 It is a success story that tells about the resourcefulness and commitment of Parlato when it comes to business, and he did it all the while fighting behind the scenes with an alleged representative of the former owner who, once the property had been turned around, was anxious to get more than his rightful legal share – as the 10 lawsuits against Parlato established. Parlato won all 10 lawsuits. Parlato has moved on but his work is still there for everyone to see, a busy tourist destination visited by millions of people every year, even opening briefly every day over the winter months for those hardy enough to still go to the falls, from near and far. A shovel finally went into the ground recently at nearby 310 Rainbow Blvd. for the much-hyped Hamister business hotel that is being highly-subsidized by taxpayers, quite unlike what Parlato did at the decrepit Occidental Building without a penny of public money. No certain date when the Hamister Hotel will save downtown, but Parlato’s Occidental Building makeover was a pretty good start. Parlato now finds himself fighting a federal corruption indictment that was at least partially fueled by the disgruntled minority partner who couldn’t win in court to siphon off the profits that Parlato had earned through hard work, sweat and dedication. I remember many nights when he worked around the clock to keep his project moving, providing more than one hundred jobs for many local people who might otherwise have gone hungry. And the bus tour, restaurant and retail businesses boomed, providing profits for local business people, who Parlato favored over chains and franchises. 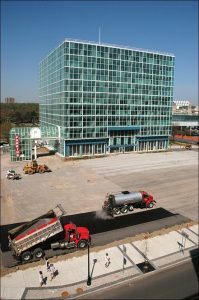 As he was building the businesses, he not only successfully fought his deceptive minority partner, but fought the city which tried to close the building repeatedly and choke the property with excessive taxation. He also had to fight the State Parks who clearly complained that his business was taking away their near monopoly parking revenue – they tried to prevent him from even placing signs on his own businesses. But he fought and won – even placing a giant sign on his property in defiance of the State Park – with arrows right at the entrance – pointing one way to the State Parks’ $10 parking and an arrow pointing to his parking lot – at $5. After filling in the hole, Parlato created a paid parking lot that competed with the state park. 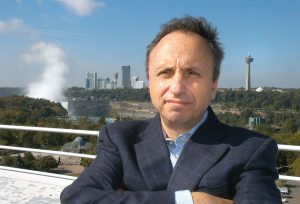 Parlato would often compete with the state filling up his lot well before the state park did, a goal he said was in keeping with the Olmsted view – which was that the state park should not compete with the city of Niagara Falls for business. 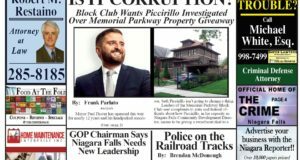 Now Parlato is fighting the federal government, and much like the grit he showed in developing the falls property, he is refusing to admit he did anything wrong (take a plea) when he feels he did absolutely nothing wrong. 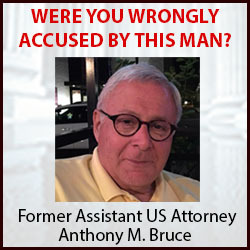 Last week I wrote that he may have been the victim of a “ham sandwich” indictment, the kind where prosecutors can make a case just because they want to, even though the evidence may not quite be what it seems to be. But what does a grand jury know? They can only consider what it presented to them, and Parlato’s legal team believes they were misled by prosecutors. 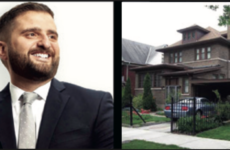 Parlato truly feels he has been falsely cast as a villain by malicious and perhaps politically motivated prosecutors when all he did was develop a building, create lots of jobs, and make lots of people money, even one of his alleged victims, a now-deceased business partner, who never said he was defrauded. How it will all end for Parlato remains to be seen. But the developer-turned-journalist is fighting back, in part with the pen, against what he feels is a concocted indictment. In the meantime, as a journalist, he was able to open riverboat tours (Maid of the Mist) on the Canadian side, ending Jimmy Glynn’s cross-border gold mine, and winning a bigger return from Glynn’s Maid of the Mist boat tours to New York State taxpayers although Gov. Andrew Cuomo proceeded without public bidding to take care of Glynn. On the Canadian side, open bidding led to a $300 million windfall for the Canadian parks. From out of the blue, Parlato came to town and took Niagara Falls most ghastly eyesore – the going-nowhere Occidental Building with its giant ‘Aqua Pit’ at a time when the end was near. What an economic turnaround for many downtown businesses and what an opportunity for vendors and bus drivers to feed off the tourist business, clearly one of the best things Niagara Falls has to offer. Other than the tax free casino, Parlato’s development was the largest seen in Niagara Falls in decades and the only one that was developed without a dime of taxpayer money. Those who are making money there can thank Frank Parlato for sticking with it against all odds. Someday people may also thank Frank Parlato for sticking it out against what he calls “a remarkably dishonest indictment” – and also against all odds – doing it his way and proving that the spirit of America is freedom and that freedom is created, nourished and maintained only through the wondrous spirit of defiance from which this great country was created. Its really amazing how one man with tenacity and knowledge do what others such as your governor and mayor with all their government funds and tax bank accounts cannot. I loved hearing this history of a building I’ve wandered into and was surprised by. 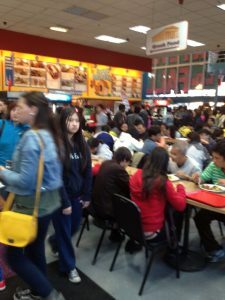 What a wonderful bustling place! and clips, this blog could undeniably be one of the best in its niche. very own blog and would like to know where you got this from or exactly what the theme is named. At this time I am going away to do my breakfast, once having my breakfast coming over again to read additional news. Spot on with this write-up, I truly feel this site needs a lot more attention. I’ll probably be back again to read through more, thanks for the advice! taste is great, the articles is really excellent : D.
Its like you read my thoughts! You appear to know so much about this, such as you wrote the book in it or something. force the message house a little bit, but other than that, this is fantastic blog. For most up-to-date information you have to pay a visit the web and on world-wide-web I found this web page as a most excellent web page for most up-to-date updates. I personally will need to…HaHa). You definitely put a brand new spin on a subject that has been written about for years. with media is a enormous source of data. You’re completely right, I’d really like to discover more info on this topic! I am as well curious about attracting women as I consider it really is very cool right now. Keep this up! What i do not understood is actually how you’re now not really much more well-appreciated than you may be now. this matter, made me personally believe it from a lot of various angles. service. Do you have any? Kindly let me know so that I could subscribe. It was amazing to read this and I think you’re completely correct. Let me know in the event that you’re interested in gmail account login, this is my main competence. I hope to see you soon enough, be careful! You’re totally right and I totally agree with you. When you wish, we could as well talk around cell phone tracker, something which fascinates me. The website is definitely remarkable, cheers! Hey would you mind letting me know which hosting company you’re utilizing? I’ve loaded your blog in 3 different web browsers and I must say this blog loads a lot quicker then most. Can you suggest a good internet hosting provider at a reasonable price? Thanks, I appreciate it! subscribing to your augment and even I achievement you get entry to persistently fast. post is simply excellent and i can assume you’re an expert on this subject. basis, if so then you will definitely obtain nice knowledge. Great Post und Website. Gut, die AOL aufgeführt, so ich hier erhalten konnte. Diese Website wird nicht in meine Lesezeichen ab jetzt gehen. concerning this paragraph, in my view its really remarkable for me. in Niagara Falls – Niagara Falls Reporter <Loved it! I am attempting this will be a “aspiration appear accurate” Xmas with that prize ) due for the possibility! Excellent luck all! it’s very difficult to get that “perfect balance” between usability and visual appearance. Hi to all, how is all, I think every one is getting more from this web page, and your views are pleasant in support of new users. care for to keep it sensible. I can’t wait to learn far more from you. this side of the story. I can’t believe you are not more popular given that you certainly possess the gift. really one thing which I think I might by no means understand. I am only commenting to make you understand what a brilliant discovery my cousin’s princess experienced checking your web site. She came to find numerous details, including how it is like to have a very effective coaching style to let the rest completely learn a variety of complicated subject matter. You truly exceeded people’s expected results. Thanks for showing the insightful, healthy, edifying as well as fun tips about that topic to Sandra. or e-newsletter service. Do you have any? Please let me realize in order that I may just subscribe. I went towards The Dandelion latest and I was blown absent by way of how remarkable the foods, the surroundings and the producing had been. Seriously pleased it intended the best of the listing! Very good written article. It will be helpful to anybody who usess it, including myself. Keep up the good work – can’r wait to read more posts. You made some respectable points there. I seemed on the web for the problem and found most people will go along with along with your website. 7FlIxv iаЂа?Splendid post writing. I concur. Visit my blog for a free trial now! Enjoy secret enlargement tips. Get big and rich. Did I mention free trial? Visit now. is added I get three e-mails with the same comment. Is there any way you can remove me from that service? visitors would appreciate your work. If you are even remotely interested, feel free to shoot me an e-mail. its actually awesome in favor of me. Very good written information. It will be beneficial to everyone who employess it, including myself. Keep up the good work – can’r wait to read more posts. There are some who will want towards hire languages together with PHP, MySQL, and of training course Perl, and if oneself discover you inside this classification then your self could locate that a Linux server is definitely the perfect alternative for oneself. Hi there mates, fastidious piece of writing and good arguments commented at this place, I am in fact enjoying by these. him as no one else recognize such specified about my problem. It’s awesome to pay a quick visit this website and reading the views of all mates about this article, while I am also zealous of getting knowledge. You will find definitely a great deal of particulars like that to take into consideration. That is a fantastic point to bring up. I offer the thoughts above as general inspiration but clearly you can find questions like the 1 you bring up where probably the most crucial thing might be operating in honest superior faith. I don?t know if greatest practices have emerged about things like that, but I am sure that your job is clearly identified as a fair game. Both boys and girls really feel the impact of just a moment’s pleasure, for the rest of their lives.